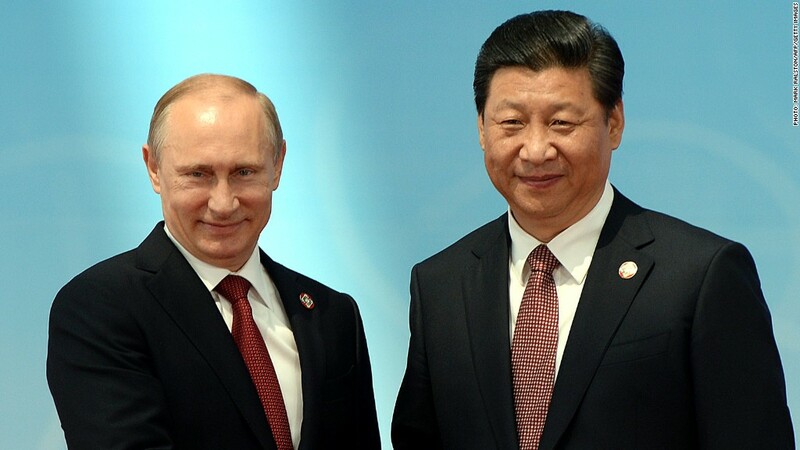 Russian President Vladimir Putin had been visiting China with the intention of sealing the massive natural gas deal. Russia has agreed to supply China with natural gas for 30 years from 2018 under a long-awaited deal struck Wednesday. The two sides had been working on a deal for a decade, but the agreement has gained significance with Europe looking to reduce its dependence on Russian gas as relations with Moscow sour over the crisis in Ukraine. Russia's state-owned gas company, Gazprom, sealed the deal with the China National Petroleum Corporation (CNPC) during a visit by Russian President Vladimir Putin to Shanghai, CNPC and the Russian energy ministry said. Putin was keen to strike a deal before this week's annual Russian economic showcase in St. Petersburg, which has been overshadowed by Western sanctions imposed over the Ukraine crisis and canceled appearances by U.S. chief executives. Under the deal, Gazprom will supply 38 billion cubic meters of gas to China each year, with the possibility of increasing shipments to 60 billion cubic meters per year. That is equivalent to about 10% of Gazprom's annual gas sales of 477 billion cubic meters to domestic and international customers. Revenue from those sales totaled $93 billion last year. The Russian Ministry of Energy declined to comment on the price China will pay for the gas, but they had originally been looking to charge $456 billion over the 30 year term. Price had been the main sticking point ahead of the agreement. "The final agreed price is believed to be closer to what Russia wanted than what China was initially prepared to pay," wrote IHS Energy analysts in a research note. "This higher price level reflects China's willingness to pay more for cleaner fuel." China relies heavily on coal for power generation and is trying to switch to cleaner energy sources to tackle heavy pollution levels in many of its cities. The gas will be shipped through more than 4,000 miles of gas pipelines from eastern Russia, according to Russian state media. While the deal secures a new, important, market for Russia, it will not divert supplies from Europe, which depends on Gazprom for 30% of its gas. "The gas supply to China will come from new gas fields to be developed in East Siberia -- gas which is for the moment in the ground, and which would never have been exported in the direction of Europe in any case," said Laurent Ruseckas, a senior advisor on global gas at IHS Energy. -- CNN's John Defterios in St Petersburg and Cy Xu in Beijing contributed to this article.